America is full of beautiful cities. Nashville is not the biggest city in the country, nor is it the most populous, but it is well-known throughout the world for its many unique attributes. It comes in only second in the country as the city where the most music is produced. The Grand Ol’ Opry, the home of country music, draws tourists from all over the world. The Batman Building, The War Memorial, and The Belle Meade Plantation are some of the most iconic places in the country. Nashville is an utterly amazing city but the best part of it all is its cougars. Whether you live here, or are just visiting, there are myriad hot spots to meet cougars in Nashville. There are tons of fascinating historical sites in Nashville and you can meet a cougar at any of them, but The Parthenon may be your best bet of all. Cougars love to learn and the charming city they live in is a captivating subject. This full-scale replica of the Athens, Greece, Parthenon stands in the middle of popular Centennial Park. It holds both temporary and permanent art exhibits as well as a gilded statue of Athena standing 42-feet high. There isn’t a single day that passes that you can’t meet cougars in Nashville at this super cool state landmark. Another legendary Nashville location full to the brim with cougars is Printer’s Alley. A favorite with locals, you’ll meet plenty of real-deal Nashville Cougars in any of the bars, restaurants, and shops in this urban area. There is more of a variety of music here than Music Row, so if you’re looking for rock or blues this is your area. Come to shop, drink, or dance. There are more local cougars than you can shake a stick at on Printer’s Alley. Once a year in June, Nashville is home to the legendary Country Music Awards. If you are lucky enough to find a hotel at that time of year, you’ll have no trouble meeting cougars in Nashville. If you have the time, make the hour drive south to Manchester and check out the famous Bonnaroo music festival. Young chicks aren’t the only ones who dig big music festivities. This may not be the best place if you’re looking for a local though. Population in the city amps up three times during this time of year with all the tourist visits. Nashville has tours, tours, and more tours. Tours on the river on the General Jackson showboat. Tours of The Grand Ol’ Opry and The Country Music Hall of Fame. Tours of the famous Ryman Auditorium and walking tours galore. Tour the city on a Trolley, horse and buggy, or tour bus. 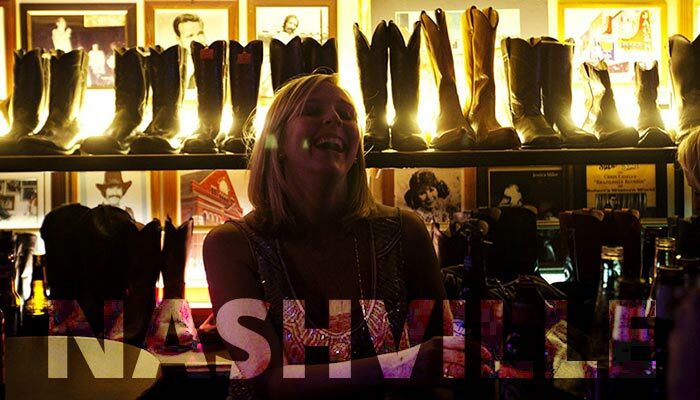 There isn’t any part of Nashville you can’t experience on one of the countless tours. Native Nashville cougars as well as tourists are often out and about on these educational but fun outings. If you want to know how to meet a cougar in Nashville, it isn’t hard. Just step outside. Go anywhere. See anything. Do whatever you want. Nashville is cougar city and it isn’t hard to tell why. It is a great city for the older generation as well as the young. It is full of promise and history, making it captivating for everyone. One word of caution, however. Mind your manners. Local cougars pride themselves on their country manners. You won’t get far without them.